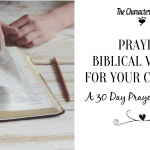 I have been so blessed and encouraged by the hundreds of moms who have been going through our prayer challenge PRAYING BIBLICAL VIRTUES FOR OUR CHILDREN. Many of you have asked about a kids’ devotional prayer journal to go along with our challenge, and I and am excited to say that it is finally done! Why am I excited about this? Because one of the BEST things you can ever do for your kids, is instill in them the habit of daily spending time in God’s Word and prayer. 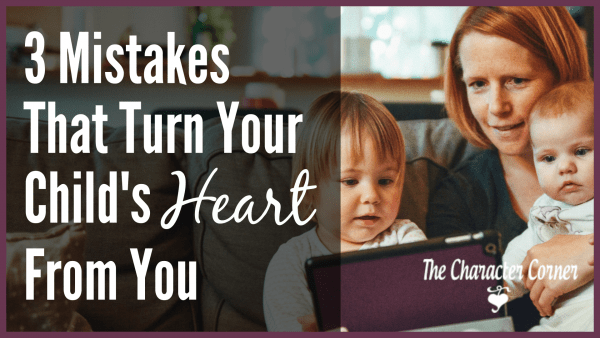 The only way your children will ever develop that habit is if you, the parent, insist on it. You need to plan it, and enforce it. 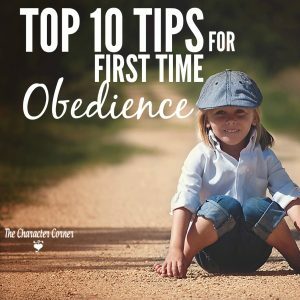 There is no more important practice that you can ever instill into the lives of your children than the habit of going to the Word of God and spending time in prayer every day. 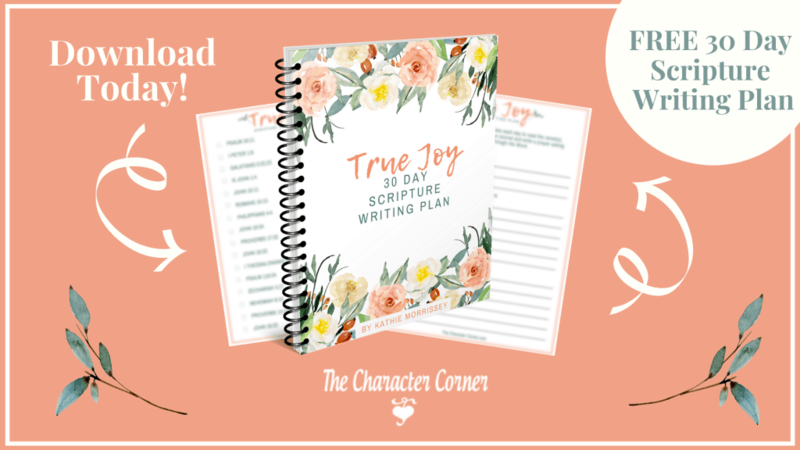 This new journal for kids is for K- 6th grade, with application questions that are open ended enough to allow for a variety of ages. Parental guidance would be needed for the younger ones who aren’t readers yet, or who need a little bit of discussion to help with understanding the Scripture and the questions. 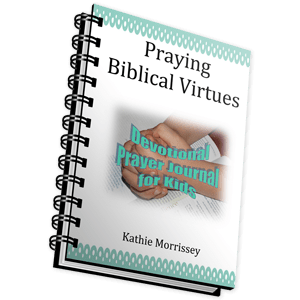 Parent(s) goes through the Praying Biblical Virtues for Our Children Journal at the same time as the kids are going through their devotional prayer journal. 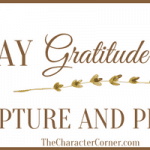 Afterwards, sit down together and discuss the trait and Scripture for the day; maybe give the kids time to share what God showed them, or tell how God is answering their prayers. With younger ones, you can simply do it out loud with them, and guide them in a little discussion about it. Keep in mind that the whole idea of this is to get your kids not only READING God’s Word daily, but also PRAYING daily, using God’s Word and praying it back to Him. 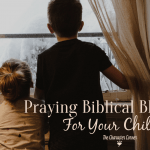 God’s Word is powerful, and when we are praying it back to God for our kids at the same time that they are praying it for themselves, you are going to see God work! Amazing things will happen, because God promises that His Word won’t return unto Him void, but will accomplish what it is supposed to AND prosper. What a promise, and what an encouragement to get our families praying, and seeking God’s help as they strive to become more like Him and grow in Godly character. This is a PDF download, so you only need to buy ONE and make copies for each of your children. I would suggest having them go through this once every year! 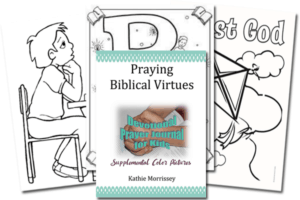 Buy now and get our launch BONUS package of 30 coloring pictures to go along with the devotional.